Yes, dear reader, it is even possible for retirees to get over-extended, at least occasionally. So here are some comments from 2 years ago for this week’s Torah portion, Terumah, about the design of the Tabernacle (Mishkan) which I hope you’ll enjoy. New humor, though. But first, here’s something that struck my eye today. From 25:1-7: The Lord spoke to Moses, saying: 2 Tell the Israelite people to bring Me gifts… And these are the gifts that you shall accept from them: (long list follows). Who’d a thunk it, a Mishkan Registry! At the very least, the first recorded Wish List, long before Amazon.com. Wow. 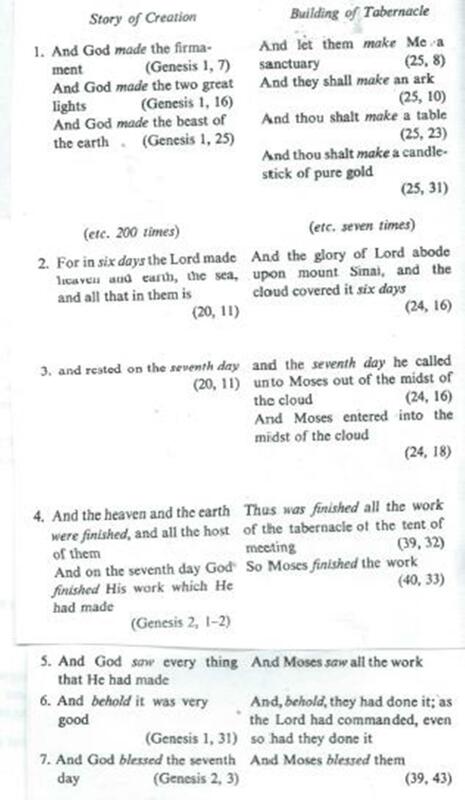 At the end of last week’s Torah portion, Moses had gone up on Mount Sinai to get the two stone tablets, i.e., the hard copy (sorry) from the Lord. We all know what he’ll find when he comes back down. For the next couple of weeks, however, the Torah readings will provide a quiet interlude in which the Lord describes in great, great detail the building and furnishing of the tabernacle, and the vestments and ordination procedure of the priests. The portions Yitro, Mishpatim, and now Terumah illustrate a progression from the spiritual heights of Revelation at Sinai, to the framework of a legal system, to the very concrete instructions for a physical tabernacle. Why build a tabernacle? We read (25:8), “And let them make Me a sanctuary that I may dwell among them.” That verse seems so gentle and cozy to me, though the idea of the Lord living in a house is rather anthropomorphic. Rambam (Maimonides) was of the opinion that the tabernacle was a crutch, something solid to aid the people in the acceptance of an intangible Lord. Ramban (Nachmanides), on the other hand, saw the tabernacle as a means for the people to achieve a more intimate relationship with the Lord. Although they will be given the instructions, they themselves will provide the materials, the labor, and the skill. While it will be helpful to channel the people’s efforts into something constructive (sorry again), this is not merely something to do, but creation of a shared sacred space. Thus, the Israelites not only will be building a tabernacle that will be a constant reminder of the Lord, but by doing so, they will, in a small way, imitate the Lord’s own project of Creation. This week, though, we only read the instructions. Building will come later. Who did Noah hire to build his boat? An arkitect of course! How do statues get rid of sore throats? By gargoyling. The kid who microwaved his toy construction blocks ended up with Legoo. The retired earthquake expert began a new career as consultant specializing in large shopping centers. He was known as size-mall-ogist. Why did the electrical system in the prison keep malfunctioning? The warden didn’t hire an electrician; he let a conduit. Plumbers have a multi-fauceted personality. I refuse to make my own sandwich. I rely on sub contractors. Moshe: Can I take your order? Hashem: I’ll have a Golden Ark in a Tabernacle, with a large order of walls, 7 cups for the Menorah, wrap it in a paroches, and hold the idolatry. Oh, and can you put one of those copper Mizbayach’s on the side? Moshe: To Stay or Go? President Obama will finish his term and not confiscate even one gun. The NRA has done a great job of scaring people in believing otherwise, but everyone will have their guns on election night. He will not declare Sharia law and he will not seek a third term. At some point, the American people will stop talking about how refreshing (Trump’s) type of honesty is and worry that their children might actually see this man as a role model. In a great moment of revelation and for the sake of his newborn daughter, Mark Zuckerberg will force all users of Facebook to read “What I Learned in Kindergarten” and if they can’t follow the “if you don’t have anything nice to say don’t say anything at all” rule, they will forever be banned from Facebook. He will also require all users to take an English, grammar, and spelling class before they can post comments. When Zuckerberg realizes that isn’t working, he will close down Facebook forever so that people will stop attacking total strangers who have different opinions of their own. The citizens of the United States will have a jaw-dropping moment where they realize that being involved in every foreign conflict isn’t nearly important as educating our own citizens. Teachers will never have to go into their own pockets to fund classroom projects again. Social media will stop posting quotes from our founding fathers and confusing them with words that are actually in our own Constitution. Children will be allowed outside again to play and they once again realize it is way more fun to fish and build forts than it is to play Xbox. These two carpenters are working on a house. The one who’s nailing down the timber keeps reaching into his nail pouch for nails and every time he pulls one out he either throws it over his shoulder or nails it in. Why did the nosey roofer do such a bad job? This entry was posted in Uncategorized and tagged architecture, Buber, construction, Exodus, Mishkan, Moses, parallel with creation, tabernacle, Terumah, wish list. Bookmark the permalink.